I recently went to a Film Camp at the Apple Store and made a small short. The first day I storyboarded my idea. I learned about GarageBand and used it to make my own music for the short. Later that day I filmed my short. This is the first time I'm actually in my own movie so my mom had to take the shots when you see me on film. It's not up to my standards but thanks anyways mom. I know you tried your hardest. The second day I took the video and put them together using iMovie. 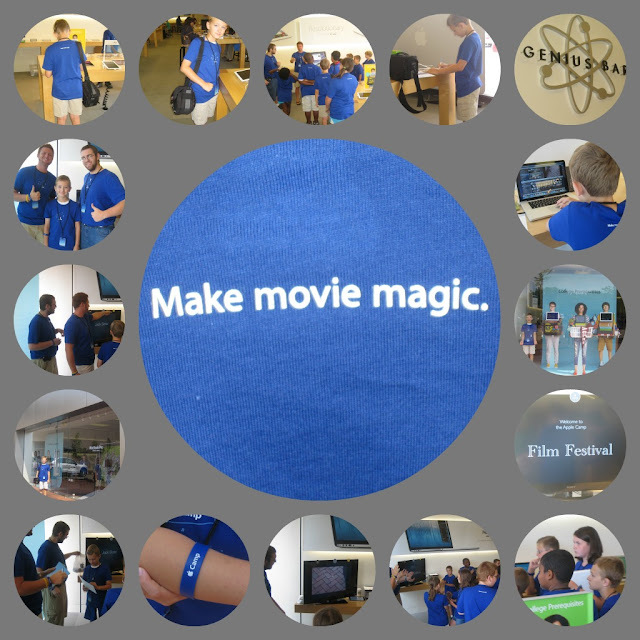 We had a film festival at the end of camp and showed everybody's movie. Here's mine. Thanks so much to Martin and Keith at Legacy Village for making the experience so EPIC!!! Great work once again! Liked the beat to the music as I think it matched the feel of your movie. So glad to discover I'm not the only film buff in 5N! Hi, my name is Jack. I am really interested in film making and plan to be a director one day. I love watching old movies and I started my blog to help kids know about really cool movies so they can try to see them, too! Jack's Reel Reviews is about movies that I write about and I say if I like them or not. If I do like them, then I will recommend them to kids my age to see. To order a DVD of my latest film, The Magic Fish, please click here.